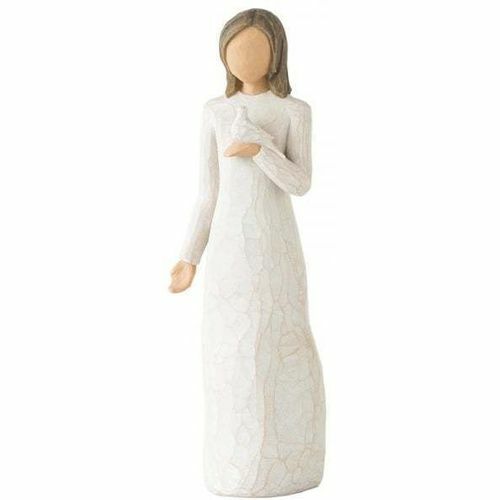 Message on the card inside reads: "May your memories bring you peace"
This iconic figure of peace and serenity is a tangible reminder of healing, comfort, hopefulness and remembrance in times of sorrow. 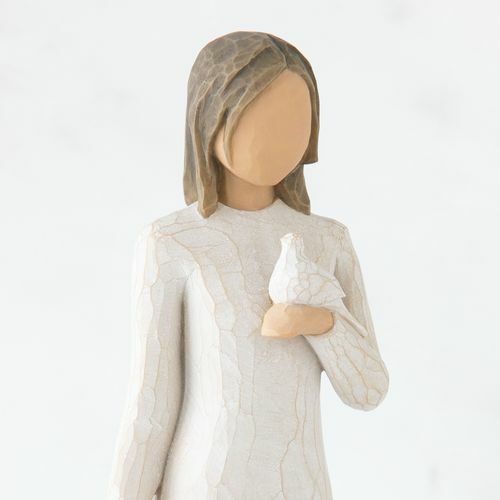 "Her gesture is one of openness and reflection; the white dove embodies inner beauty and peace." - Susan Lordi. This is not a toy or childrens product and is intended for adults use only.